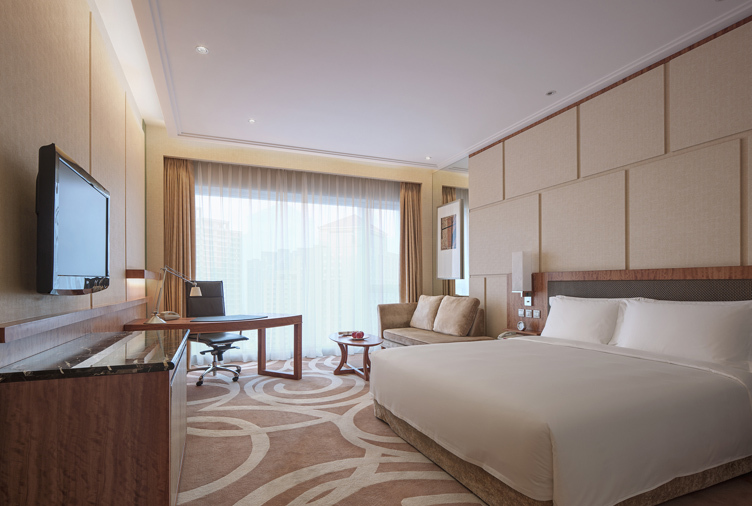 These luxury rooms at New World Dalian Hotel offer privacy and special privileges. 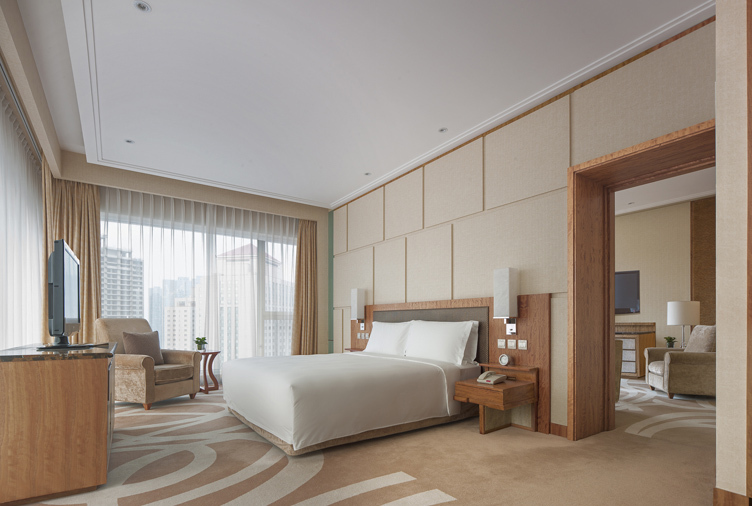 The Residence Club Deluxe Rooms on Levels 22 to 24 are from 40 to 45 square metres and feature high ceilings and panoramic views of Dalian. Beautiful furnishings, textured fabrics, pleasing colours, crown-cut oak timber joinery, silver travertine stone, and mood and task lighting all work together to create a calming atmosphere in which you can relax and be yourself. A large television with international channels keeps you informed and entertained. 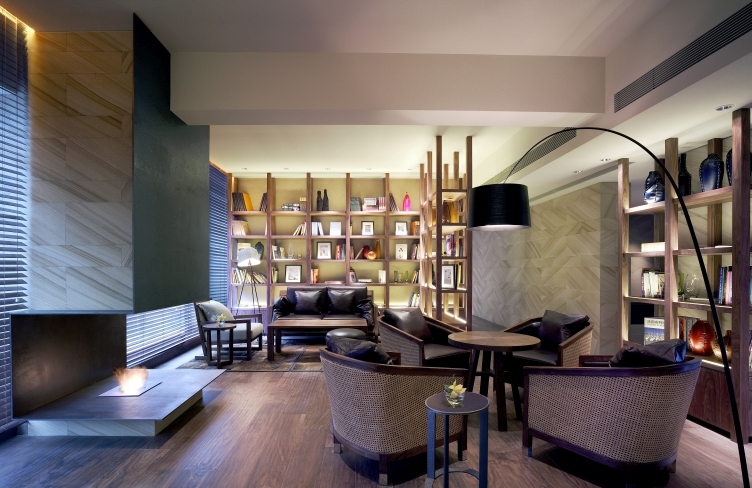 The large writing desk works well for business, personal correspondence and in-room dining. There is a marble bathroom with a bathtub and walk-in shower, and the wonderful bed, goose-down duvet and plump pillows make for truly refreshing sleep.